Does the Scotch Whisky Glass Really Matter? Whisky glasses come in all shapes and sizes. 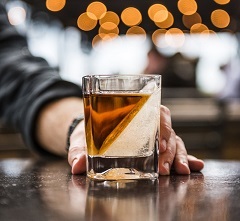 From the old school Old Fashioned tumblers with straight sides to the various snifters styles with a tapered mouth and Glencairns – there’s a lot of debate over how important the shape of the glass is in the enjoyment of Scotch. Personally, I think to the average enthusiast, the nose and taste differences are minor. If you’re just embarking on your exploration of scotch, whether the mouth of the glass tapers or not will not have a big impact. I think a perfect analogy is that you’re hearing the symphony and trying to find the stringed instruments and then the violin. Whether you sit front row or back row, stage left or stage right, matters very little because it’s the first time you’ve heard a symphony. That said, I think the whisky glass you use is important for other reasons. First, having a special glass rounds out the experience, especially when the special glass costs only $6-8 (it’d be another issue if it cost $40!). By having a special glass you use for drinking scotch whisky, you elevate it from something that’s pedestrian to something that’s special. 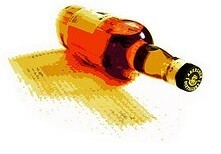 You’re giving the whisky and the craftsman who made it the proper respect. The elixir sat in a barrel and aged for years. Can you imagine waiting 18 years? Or even just 12 or 10 years? 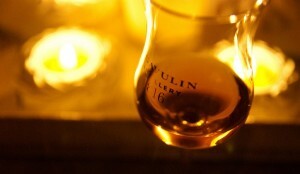 Why not go the extra few feet, get a nice Glencairn, and enjoy it as the creators intended? Lastly, the glass you use will have an impact on how much you enjoy it, even if it doesn’t change any discernible characteristics about the whisky. The value of a bottle of wine is affected by the design of the bottle and ratings are affected by the glass it was in when it was enjoyed. Would one eat a grapefruit with a soup spoon? Perhaps use a butter knife to cut the rib eye? An old fashion doesn’t allow the proper shape for the aroma’s to dance, nor to reach you nose to allow your olfactory nerves to interpret the subtle aromas inherent in the juice. Imagine aging a whisky 15/20/25/30 or more years creating a special elixir which your going to stick into a rock glass thereby offending the whisky gods or a brandy snifter with it’s bulbous girth. However a nosing glass, a glencairn for instance (there are others) hold just the right amount of juice in it’s main body allowing the aromas to condense in it’s narrower neck to gather and expose themselves to you at the perfect opening not only for your mouth but your nose. Small enough to pass it along your nose the 1st time to introduce yourself to your expressions and then to become more intimate with it as you put your nose and senses deeper into the glass, at different angles and depths to envelope it with the many different types of smells. Then of course what this glass in it’s whole of its shape does to enhance the taste of the juice. Properly allowing the alcohol burn off, the juice to breath within the shape of the glass bringing together the compleixities not to mention when and if you add a drop or two of water and the impact of opening up your aged elixir allowing the hidden subtle scents, flavors, sweetness,sourness, saltiness to show its hidden and mysterious self. Do you think the whisky glass you use matters? And what do you use? First things first, I received a review flask for free from SWIG. Let’s get that out of the way – they didn’t pay me to review it but they did send me one so I could review it in the first place. 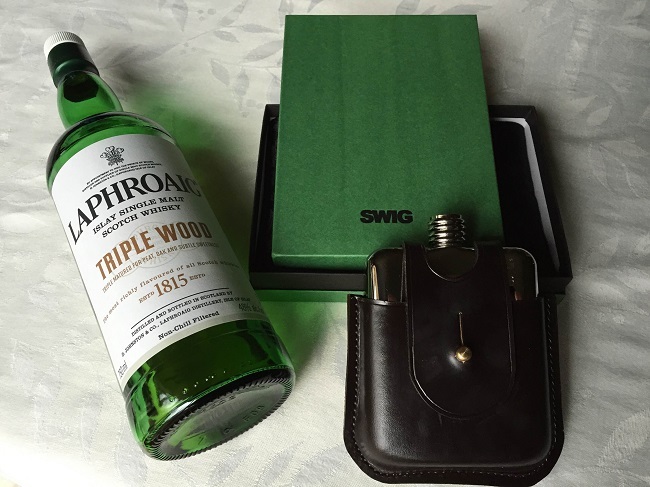 What you’re looking at is their SWIG Heritage – Dark Havana Flask next to my own bottle of Laphroaig Triple Wood. I thought it’d make for a good photo since the box it came in was the same color as Laphroaig’s green bottles. They really did a great job of presentation. It reminds me a lot of how a high end purse is packaged actually. 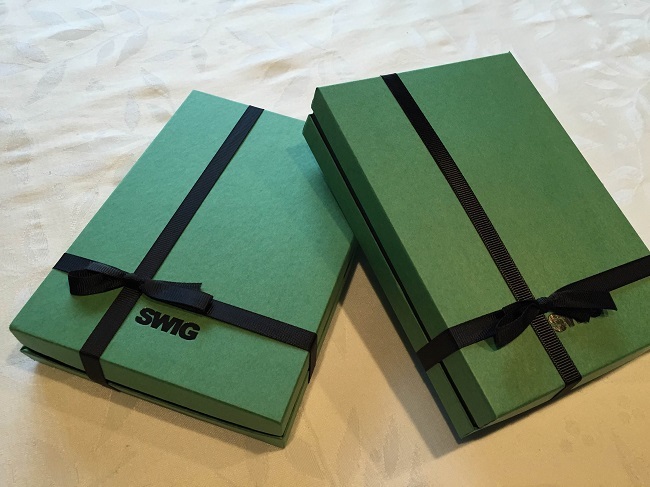 I received two green boxes, each wrapped in a black ribbon, that contained the flask and the leather case. Each rested on a paisley cushion that was a nice touch. This thing is beautiful. 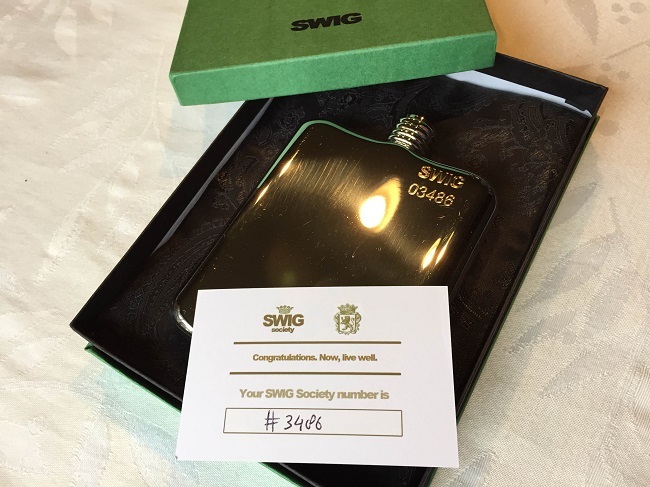 The flask itself is so shiny, engraved with my SWIG Society number, and looks right at home in its leather case. The thing is, flasks are flasks. 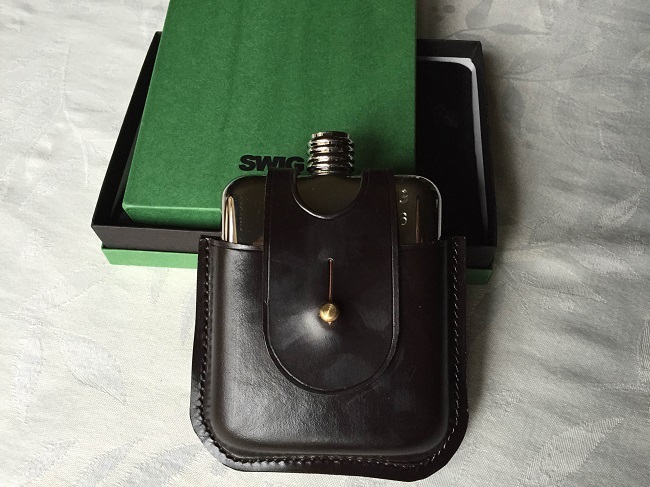 I said so in my list of the best whisky flasks (written before I even knew about this flask) and this one checks off all the boxes that I look for in a flask. Where it separates itself is in two things. The flask itself is one single piece. No seams, no welds, just one single body so it will never leak. You can’t beat that. 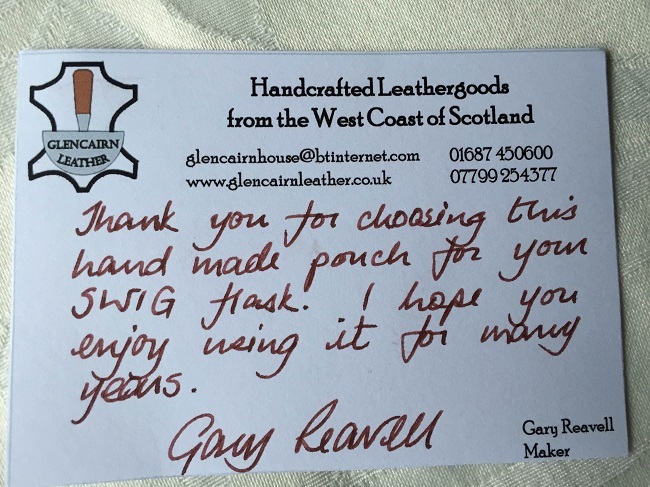 I went to the website and Gary, the guy who signed the note, also runs a B&B! His leather working business does belts, satchels, and a few other products – this is literally a cottage industry. I think that’s pretty awesome. They’ve really taken a simple hip flask and elevated it in its presentation. 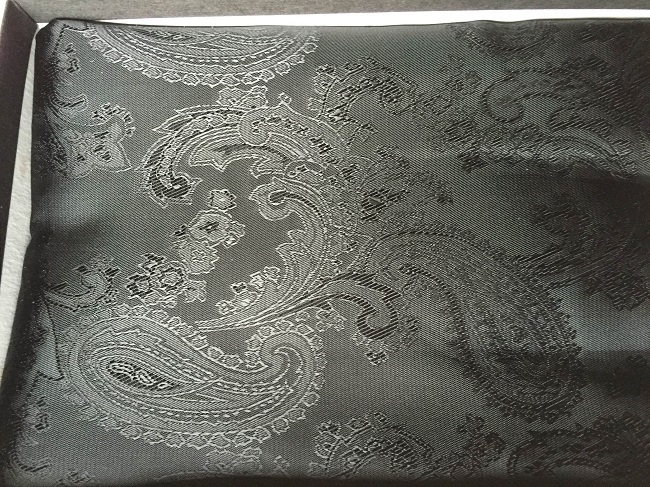 The box, the paisley cushion, the handwritten note – all very nice touches that add a luxury feel. All things you want whenever you’re giving someone a gift. Productwise – the flask you see in the photos is their only flask. To differentiate, they do offer a variety of different holders (such as tweed and wet moulded in different colors). They also offer engraving, to add even more personalization. 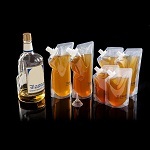 If you’re in the market for a gift for that special someone, you might want to give SWIG Flasks a look. Scotch is best enjoyed in a whisky glass, no question, but sometimes you’re on the go and you want to bring a little bit of the good stuff with you – what do you do? Bring a whisky flask. What do I look for in a flask? I want it to look classy, be stainless steel (18/8 or 18/10 stainless steel, a.k.a. Type 304 Food Grade), hold a decent amount of whisky, fit in my pocket, and have a screw top. Bonus points if it comes with a funnel, but I already have a funnel so no big deal there. I agree that “look classy” is a vague term but when I think of a classy flask, I think of one that’s wrapped in leather. Not patent or fake leather, not the cheap stuff either. I prefer the real stuff – bridle leather (look up how much time, material, and effort is put into the finishing process of bridle leather). This is the stuff high end shoes and purses are made out of. Why do I care about leather so much? Good leather looks good. The cheap stuff scratches easily, doesn’t feel as nice, and you can see it a mile away. 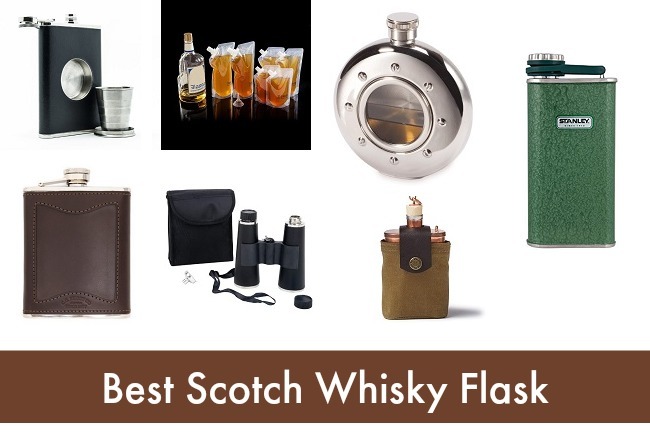 You will only ever need one flask and flasks are relatively cheap (we’re talking under a hundred bucks), so why not get something nice? Why not get something that puts a smile on your face when you pull it out. My recommendation on this? 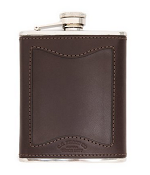 Filson Men’s Flask in either black or brown (I like brown). It’s pricier than the other options we have here, which don’t have leather, but it’s wrapped in leather, holds six ounches, and looks great. 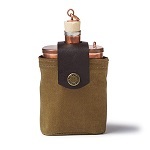 Filson has another flask that looks awesome but is a little out of most typical price ranges. It’s a $225 copper flask with Tin Cloth holder. I’ve heard some less than stellar reviews of copper flasks so I don’t include any on this list but I do enjoy the look of them. Over two hundred bucks keeps it in the realm of window shopping though, I’d rather spend that kind of money on scotch whisky. There’s something classic about the Stanley Classic Flask. Maybe it’s the green (comes in navy, black and pink… the navy looks nice too), the thick plastic outer shell that can take a hit, or the slim look. Reviews are mixed on it though, so check them out if this look appeals to you. It’s billed as “The Original” Shot Flask, not sure what “original” means, but this baby is a flask + shot glass in one. 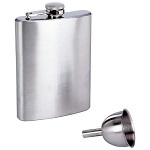 The shot glass collapses and fits into a chamber on the side of the flask. The flask itself hold 8 ounces and the shot glass holds 2 ounces. It even looks nice, with a bonded leather exterior, and the cap screws on (crucial). Even comes in a pink version! 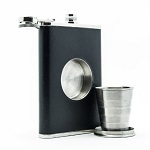 If you want the cheapest flask that gets the job done – get this one. It’s under six bucks, holds 8 oz., has a screw down cap, comes with a funnel, and it’s stainless steel. It checks all the boxes and if you lose it, who cares… it was six bucks. At that price, honestly, it’s practically disposable (but don’t… think of the Earth!). If you are going somewhere with metal detectors and you still want to bring a flask, this set of Blasani sneak flasks are your best option. The set is huge (four 32oz, two 16oz, two 8oz), contains no metal, and cheap enough that you can just throw them out in the end. Each bag has a screw top, the set comes with a funnel, and they’re light. I really like the look of the Cork Pops Nicholas Portside Flask. 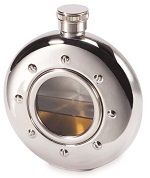 It’s a circular flask made of stainless steel and has a window, to resemble a porthole. It’s one of the few flasks with a window. 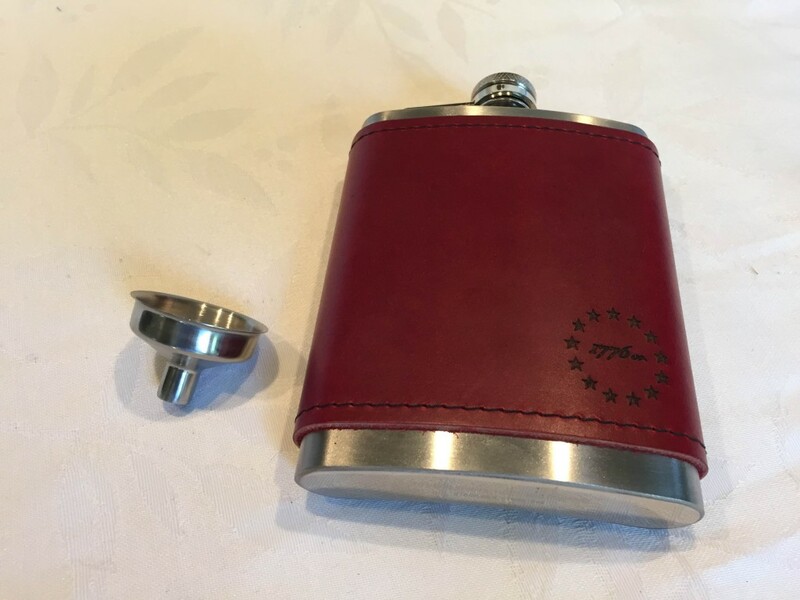 It is a screw top but the top isn’t attached to the flask and the flask only holds 4 ounces, compared to the standard 8 ounces of many other flasks. Finally, if you just need a funnel – pick up this stainless steel funnel for under two bucks. Do you use a flask? Do you have a favorite?